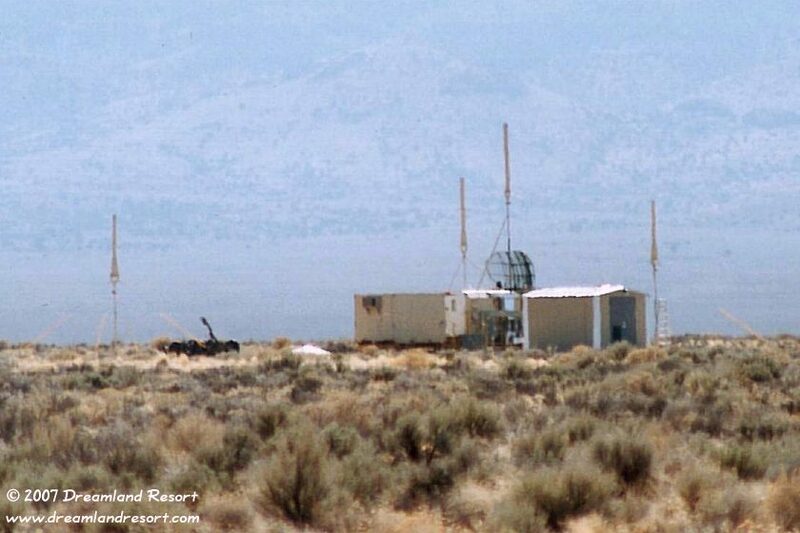 There are several mobile radar sites and various other buildings northwest of the Area 51 North Gate guardhouse, less than a mile inside the perimeter. It appears that they are installed there permanently, almost in line with the north end of the Groom runways. What makes these sites particularly interesting is the fact that they are mostly Russian models. They are used to test the stealth properties of new or modified aircraft coming out of Area 51 against actual enemy hardware. 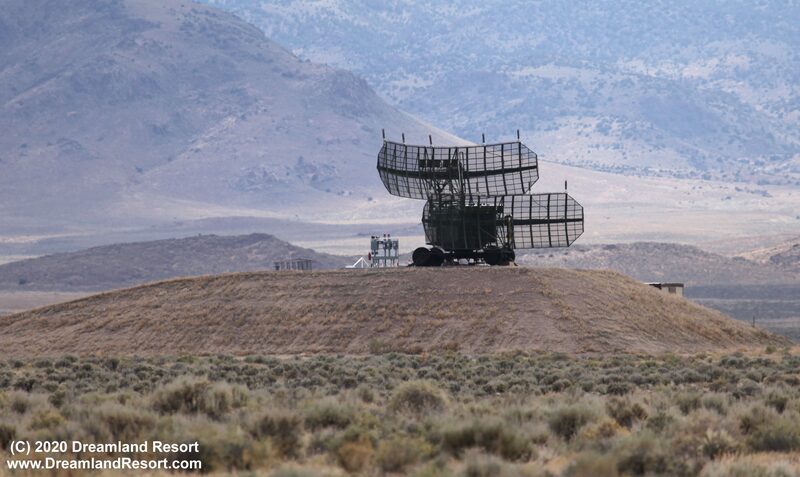 More of these radar sites can be seen in the vicinity of Cedar Gate, further to the north. Sometimes at night you can see the red and blue radiation warning lights of the radar sites from Rachel. This indicates that they are active, and that a test is about to begin or is already in progress. They usually come on about one or two hours before the actual test flight. Update 04/02/2019: A new radar site was added in late March of 2019. Scroll down or click here for a photo. Rest-of-World Missile Systems - FAS: Basic characteristics of selected "Rest of World" missile systems. Panorama of the radar installations near the North Gate, a couple of miles inside the perimeter. 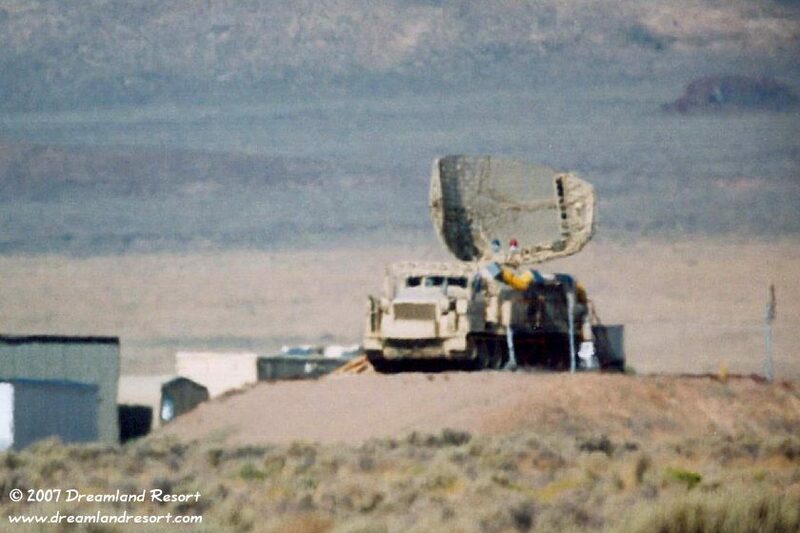 This one is a "SPOON REST A" target acquisition and early warning radar. Its range is 275 km, the max. altitude 32 km. 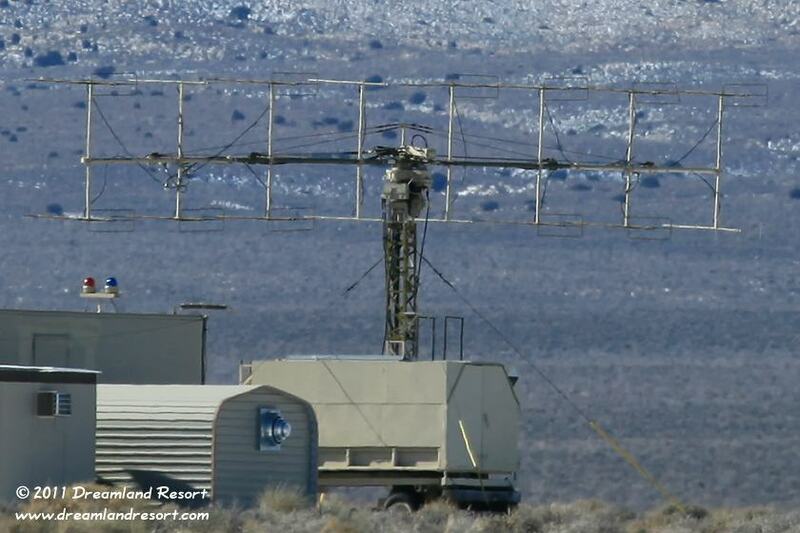 It operates in the VHF Band, we are told possibly around 150 MHz. Another Soviet radar system: A "LONG TRACK" long-range acquisition radar with a detection range of over 300 km and up to 30 km altitude. 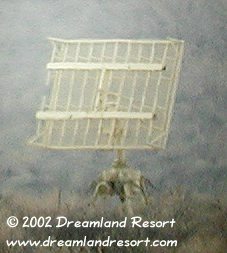 The Long Track radar operates in the "E-Band" (2.7-2.9 GHz) and integrates with the "Thin Skin" height finding radar below. This was the first system to detect stealth aircraft by changing modes and frequencies. Long-Tracks and Flatface were used during development of Have Blue, the prototype for the F-117 Stealth Fighter. This site was replaced by the "PRV-11 SIDE NET" (see below). A "THIN SKIN" height finding radar with a range of 240 km, and a max. altitude of 30 km. It can be integrated with the "Long Track" radar above to provide 3-dimensional target information. It also operates in the "E-Band" (2.7-2.9 GHz). This site was removed some time before November 2006. Both are Russian/Warsaw pact systems and can be used in conjunction with the FAN SONG radar for the SA-2 Guideline SAM. 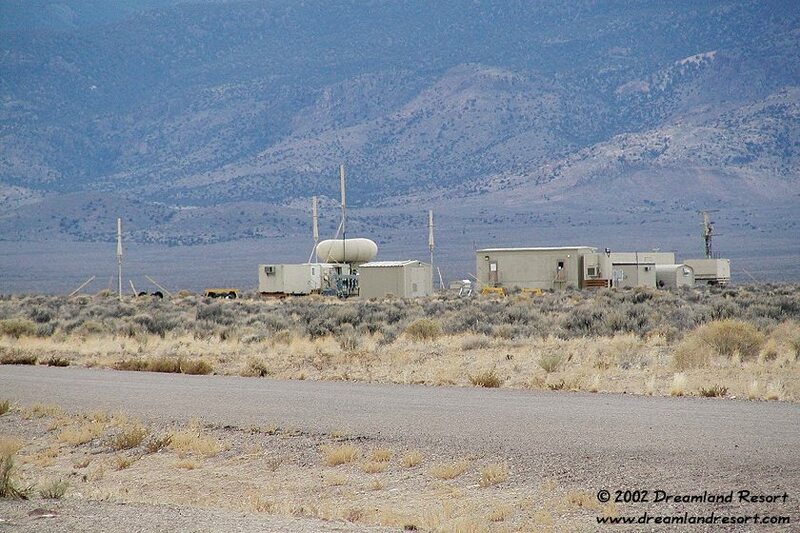 They may be used here for Red Flag exercises, or for testing new stealth technology, currently under development at Area 51. A new radar site has been added to the cluster around the North Gate. 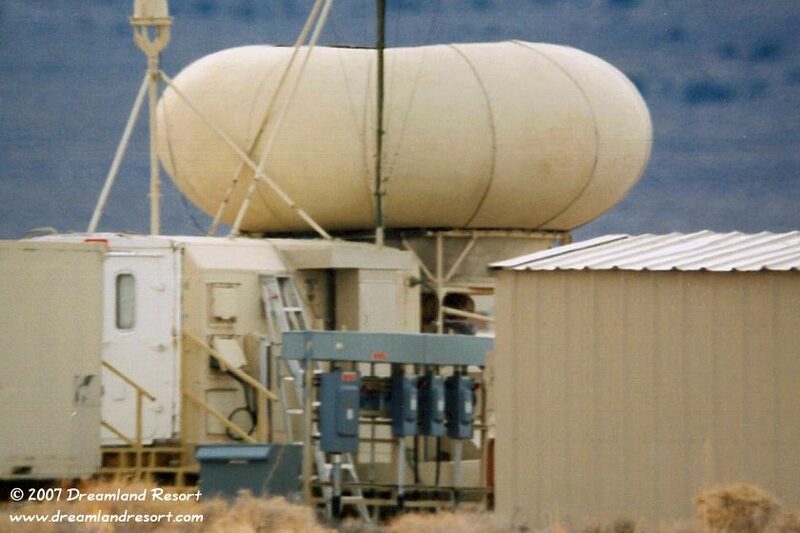 The "donut" in the background contains a rotating radar (see below). The array of four tall mast-like antennas in the foreground is for the mobile Russian air-defense command and control center code named "Mercury Grass". It is a phased lock loop (PLL), line-of-sight, multichannel comm gear that dates to the late 1950's. It became standard field gear for Warsaw Pact, N Korea, China, N Vietnam, and was the primary voice comm gear employed at SA-2 SAM sites. The "Spoon Rest" can be seen on the right. This photo was taken on 11/29/2002. The site was partially disassembled in 2009 and is no longer active. The same site while it was being set up on 3/29/2002. The rotating radar, now covered under the "donut", is still visible. Closeup of the new site. Notice the large breaker boxes at the control center. Photo taken on 11/29/2002. Another new radar site. 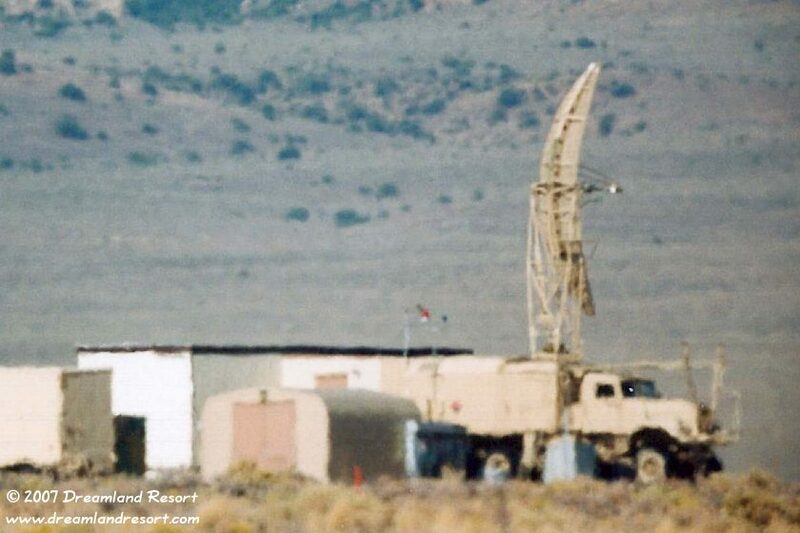 This one is a Russian "PRV-11 SIDE NET" height finding radar, similar to the one near Cedar Gate. It was designed for use with the Russian "S-200 SA-5 GAMMON", which is a medium to high altitude surface-to-air missile system. It is also used with the SA-2/3 SAM. It has a range of 28 km and a max. altitude of 32 km. 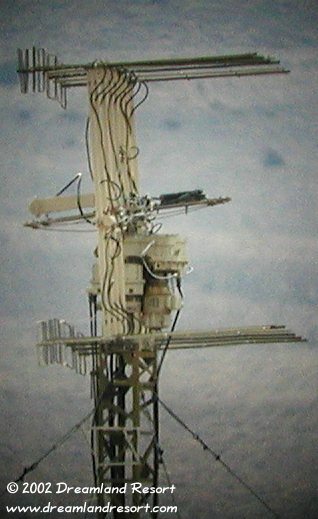 The radar operates in the E-band. This photo was taken on 12/17/2011. 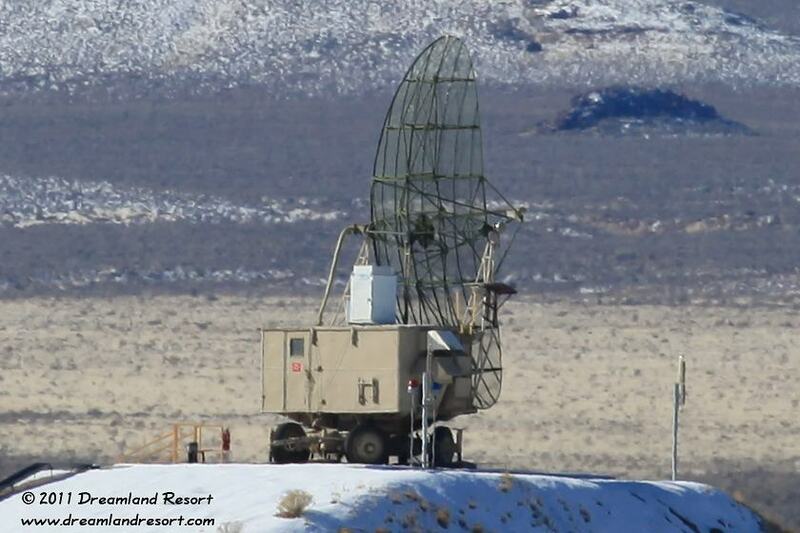 This radar site was added in late March 2019. It is a Russian P-37 "Bar Lock" air defense search radar. The radar operates in the frequency band 2695-3115 MHz and has a range of 250NM with a resolution of 0.1NM. Photo taken 04/02/2019.